During teenage years, life can be complicated for teenagers. They have to adapt to emotional, physical and mental maturity. As teenagers become more independent they should be taking steps to adopt a healthy lifestyle and ensure good health for the future. This would include looking after their teeth and gums for a healthy smile and fresh breath for the whole of their lifetime. There are two main dental diseases. These are tooth decay (known as dental caries) and gum disease (known as periodontal disease and gingivitis). There are a number of things that can be done to ensure that young people are not affected by these common conditions and at Dental fx we are here to help our 'adults of tomorrow'. The most important way of preventing tooth decay is to restrict the amount and times sugar is consumed in the diet. Sugary food and drink should be kept to as few as possible. It is especially important to limit the number of sugary products taken every day, ideally only having them at meal times. Many people eat sugary snacks between meals or just before going to sleep are these are particularly harmful to the teeth. It is very important to develop a regular tooth brushing routine to keep to a minimum the build-up of plaque that allows the bacteria to cause tooth decay. However, even effective tooth brushing will not prevent tooth decay if the intake of sugary food and drinks is still high. This is because bacteria can stick to teeth in areas which are inaccessible to normal tooth cleaning and these areas will be susceptible to decay. This is an inflammation of the gums that is caused by bacteria found in dental plaque. After puberty gums will become more prone to gum disease (this is known as gingivitis). Gum disease can affect anyone at any time into adult life and it is important that our teenagers have regular check-ups to spot any early signs of gum disease. The main indicator of gum disease is bleeding from the gums (this is commonly seen after tooth brushing). Healthy gums will not bleed even after vigorous brushing. The gums may also become red and swollen and this may be an important cause of bad breath. The condition is usually painless. About 10 percent of adults are especially prone to a destructive form of gum disease (known as periodontitis) and it is very important that teeth are checked by a dentist on a regular basis. At Dental fx we are able to pick up the first signs of disease and we are very thorough in our check-up procedures. 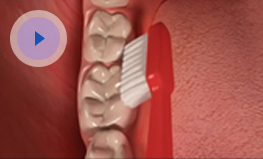 To prevent gum disease it is essential that effective tooth brushing is regularly carried out. Our hygienists can show you how to brush your teeth effectively and will also tell you that teeth should be brushed at least twice a day for at least two minutes a time. It is important that all the surfaces of the teeth are cleaned, especially around the insides and the area where the teeth meet the gums. This is when the tooth surface is worn away acids found in fruit juices, fizzy drinks, sports drinks, citrus fruits and pickles which are popular especially among the teenage population. Stomach acids that enter the mouth, by reflux or vomiting, can also cause erosion. Eroded teeth are yellow, thinner and are more sensitive. In the long term, erosion can cause very severe tooth wear which is both uncomfortable and unsightly. To help prevent erosion, limit the frequency of acidic drinks and foods. Ideally, everyone should wait at least 30 minutes after having an acidic drink before brushing their teeth. This is because the acid temporarily softens the surface of the teeth and brushing them straight away can make them wear away more quickly. Many people will take fizzy drinks then immediately brush their teeth, not realising that this is one of the worst things they can do when the enamel is soft. This treatment is carried out in order to move teeth into a position that will improve their appearance and function. It is usually carried out during the teenage years when the teeth and jaws are undergoing their final growth. Various types of braces, removable or fixed are placed on the teeth in order to move them. The process can take between 18 months and two years to complete. During this time regular visits to the orthodontist are made – every six to eight weeks. For our patients at Dental fx in need of orthodontic treatment, we refer to one or two excellent orthodontics in the Glasgow area who do a first class job in giving our teenagers a smile they can be proud of. While having orthodontic treatment it is essential that the teeth and braces are kept very clean as the braces will tend to encourage the formation of plaque around the area which can lead to tooth decay and gum disease. It is therefore very important to visit Dental fx regularly during the time you have your braces on to have regular check-ups. Wisdom teeth are the last teeth that grow at the back of the mouth and usually appear between the ages of 16 and 24 years, although the timescale can differ. Some people never develop wisdom teeth. On occasions wisdom teeth may be painful and can cause recurring infections, especially if there is not enough room for them in the mouth (impacted). It is sometimes necessary to have them removed and this can be easily arranged. Smoking has a major effect on the likelihood of developing many diseases including heart disease and cancer. 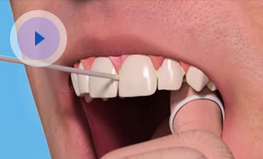 At each check up at Dental fx we carry out a cancer screening check to catch any early lesions. In the mouth, smoking causes staining of the teeth, bad breath and increases the damage caused by gum disease. In the long term, it can also lead to throat or mouth cancer so it does carry significant consequences. Teenagers should have regular check-ups at Dental fx and we will be able to advise about all dental health issues and detect any signs of developing disease. Our dentists at Dental fx will, on occasions refer to an orthodontist for orthodontic treatment and to a dental hygienist for preventative advice about diet, toothbrushing and treatment of gum problems.